Defender Micah Richards spared team-mate Robinho's blushes by scoring Manchester City's winner against 10-man Sunderland at Eastlands. Sunderland were up against it in the 15th minute when George McCartney was shown red for pulling back Shaun Wright-Phillips on the edge of the box. Robinho then had a penalty saved by Marton Fulop after Steed Malbranque was judged to have fouled Richards. City's goal came after the break when Richards headed in Elano's free-kick. Victory was just about deserved for a City side who had a man advantage for the majority of the game, but often found it desperately difficult to break down a resolute Sunderland. During the short time it was 11 versus 11, Wright-Phillips spurned a fantastic chance to put the home side in lead when he dinked his shot a foot wide of Fulop's goal after a glorious ball from Valeri Bojinov. Moments later, Wright-Phillips was again through on goal but this time he was judged to have been pulled back by McCartney which led to the defender's dismissal. Referee Steve Tanner had initially not spotted the incident and the decision to show McCartney red was only made after the Somerset official consulted his linesman who had flagged. Further pain should have been inflicted on Ricky Sbragia's team shortly after when City were awarded a penalty when Malbranque hacked down Richards. However, Robinho, who had not scored since the end of last year, made a pig's ear of his run-stutter-kick technique which resulted in a flat penalty saved by Fulop low to his right. Sbragia had by this stage changed his formation from 4-5-1 to 4-4-1, and the nine remaining outfield players defended admirably for the rest of the half - limiting City to playing hopeful balls into the box without any calling Fulop into action. However, the next time Fulop was troubled was when Richards powered his header past him 10 minutes after the restart. The England defender connected with Elano's delivery from six yards out for his first goal since scoring against Everton in 2006. City should have added a second when the rejuvenated Richards sped down the right and found Elano unmarked in the area but the Brazilian slipped the ball past the Sunderland's right-hand upright. Despite being in front, City still did not look comfortable and were almost made to pay for their earlier misses when Andy Reid had a sight on goal from 12 yards but was prevented from pulling the trigger by a great block tackle from Richard Dunne. The impressive Fulop made superb saves from Elano and Robinho late in the game, but in the end Richards' earlier strike was enough for victory. 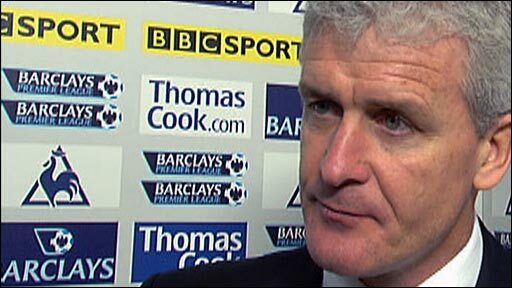 Man City boss Mark Hughes: "We should have put the game to bed with all the chances we had. "We had a hard week with our Uefa Cup tie going to extra-time and we were also without Wayne Bridge and Stephen Ireland today. 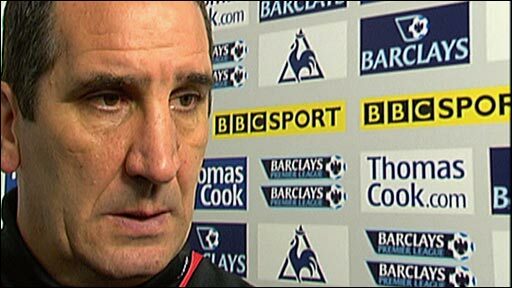 "Sunderland were freshness at the end because they didn't play in midweek." Sunderland manager Ricky Sbragia: "George made slight contact but ball was in keeper's hands. "I'm dumfounded as to why he was sent off. A long debate ensued and the linesman made the decision." Man City: Given, Richards (Garrido 83), Onuoha, Dunne, Zabaleta, Wright-Phillips, Elano, De Jong, Kompany (Fernandes 84), Robinho, Bojinov (Bellamy 65). Sunderland: Fulop, Bardsley, Collins, Ferdinand, McCartney, Edwards, Whitehead, Leadbitter, Murphy (Davenport 16), Malbranque (Reid 72), Jones (Cisse 72). Subs Not Used: Gordon, Yorke, Healy, McShane. Booked: Bardsley, Davenport, Leadbitter, Ferdinand, Reid. BBC Sport Player Rater man of the match: Shaun Wright-Phillips 6.80 (on 90 minutes).